Did I ever tell you that I am a person with claustrophobia ? Somehow I have an anxiety disorder which makes me has an irrational fear of having no escape or being closed-in in a dark place or narrow space. This is why I decided not to go inside the Cu Chi tunnel during my trip in Ho Chi Minh city. 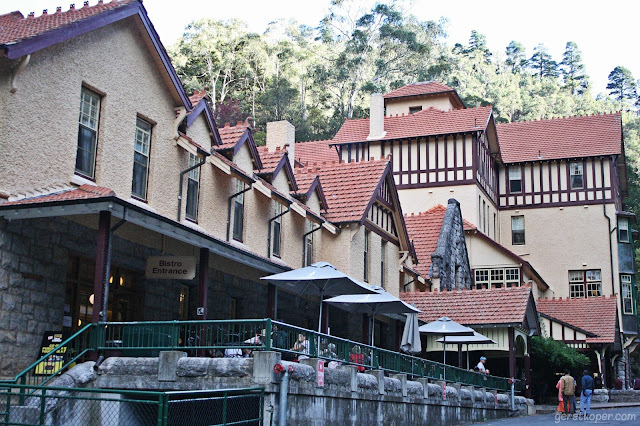 Last month, my friend invited me to go to Jenolan caves with her and her family. 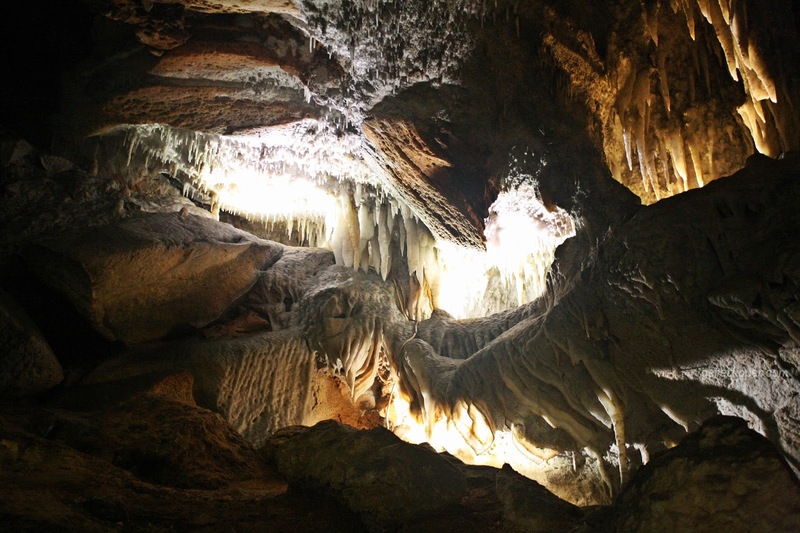 I agreed quickly as it will become my first caving experience here in Sydney. Jenolan caves are limestones caves located almost 200 kms away from Sydney CBD and it will take you around 3 hours drive by car. These caves located in Blue Mountain area and I think it can only accessible by car or tour from city as there is no public bus available in this area. 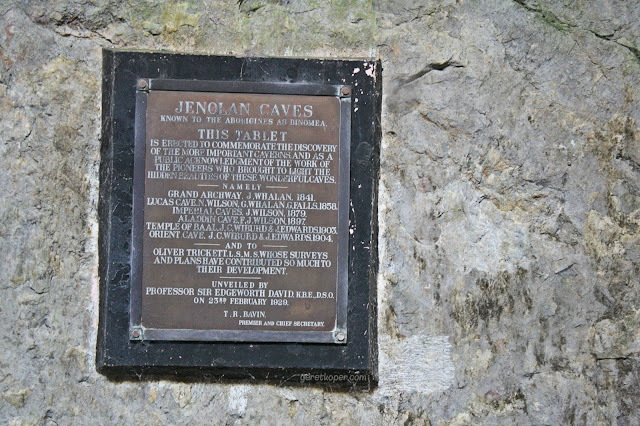 I read Jenolan caves brochure that I got from a friend on my way to the cave. There are 10 different guided cave tours available with 3 levels of difficulty from easy, average to strenuous. 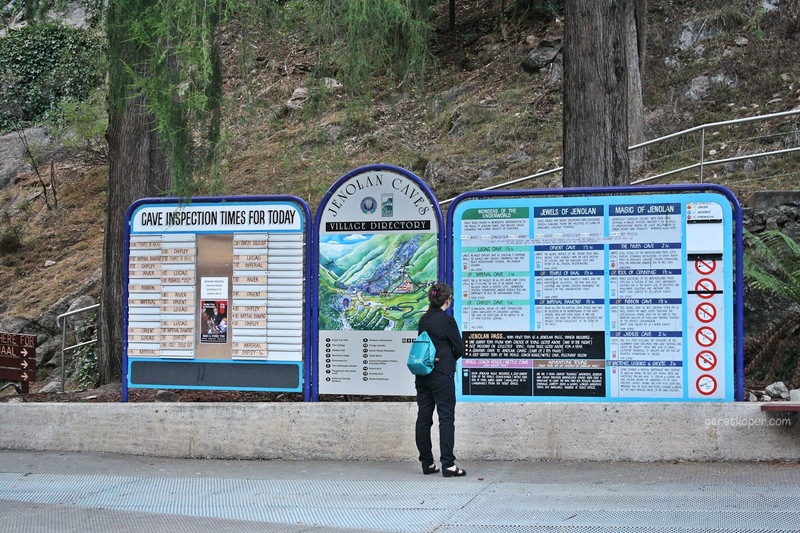 We purchased 4pm Chifley cave's ticket as we arrived in Jenolan caves around 3pm and decided to get our late lunch first before go to the cave. 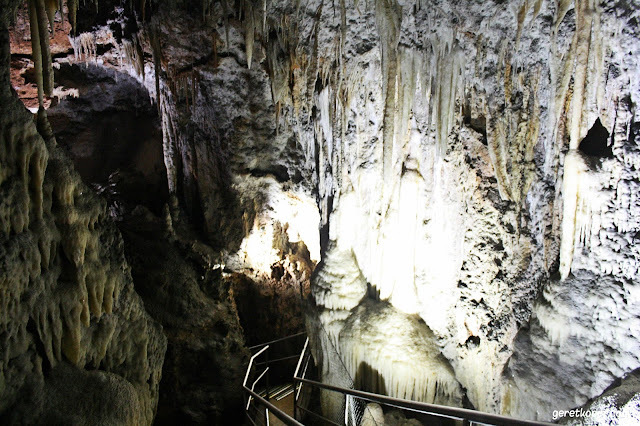 Chifley cave guided tour will take 1 hour journey which has difficulty categorized as average. We chose Chifley because it said in the brochure it is a great tour for all ages. All the tour participants gathered around the grand arch 5 minutes before the tour began. "Is there any smaller room than this one inside the cave?" I slowly opened my eyes and I finally can breath normal when I looked back I just realized the participant of this 4pm Chifley tour just 6 people including the guide. Whaaaattt? I thought that many people gathered before were all in the same tour and thanked God my panic attack has gone. "Are you OK? Do you want to continue?" "Yes.. yes.. I think I can continue this!" well although my hands still a little bit shaking. I convinced him that I should go first, I hoped with this way I can feel safer because I knew there were some people behind me and wide area in front of me. The cave's area getting bigger when I moved to another cave's room, I felt relief and I can breath normally. It looks like roots, right? Scottie started to tell us the history of the cave, explained the layers and what the cave made of. 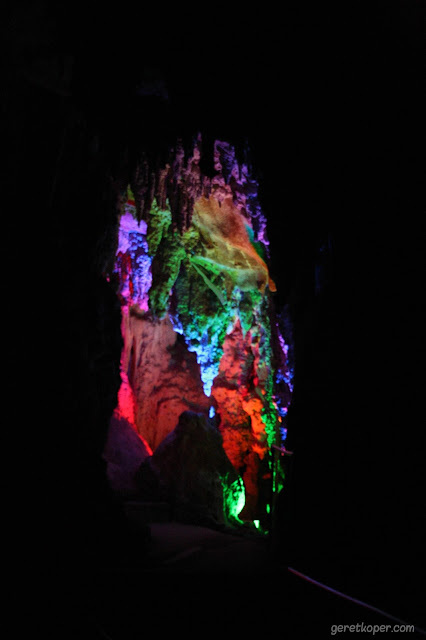 They put some lights inside the cave, the guide controlled the lights using a switch inside the cave. The lights will highlight some areas when he pushed some button and he started to explain about the highlighted area. There was a moment when the guide asked us to stay still and closed our eyes. He turned the light off (every lights available on the room) and asked us to open our eyes. I opened my eyes a bit and It was totally dark, suddenly I can't breath normally and I decided to keep my eyes close and I kept thinking in my mind that I was on a laaargee and bright room so I can remain calm. Thanks God nothing happen to me until he finished explain all the things and turned the light on. 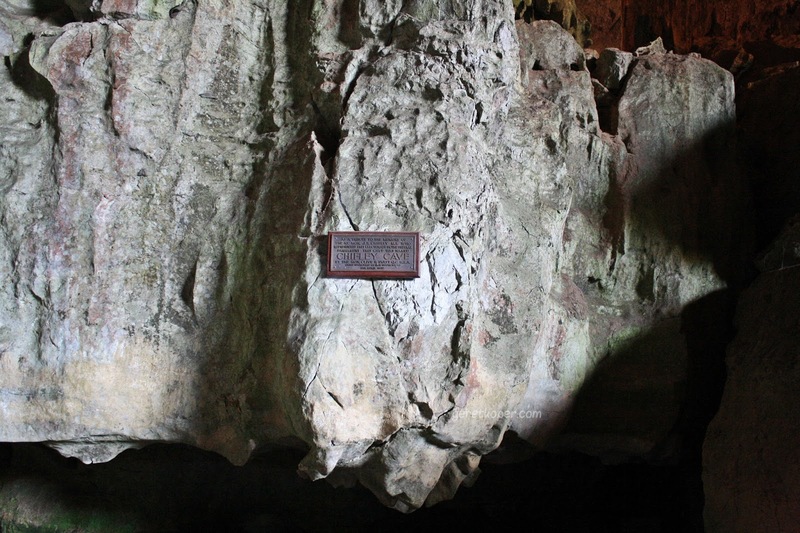 Since there were only 5 of us, Scottie told us some areas which he rarely tell to others since it was impossible thing to do if there were so many participants on the tour (like a bat fossil and small low chamber). For your info it was not a straight path cave, it has some stairs up and down inside the cave. It was cold, wet, slippery and quite damp inside the cave, make sure you use a proper footwear. 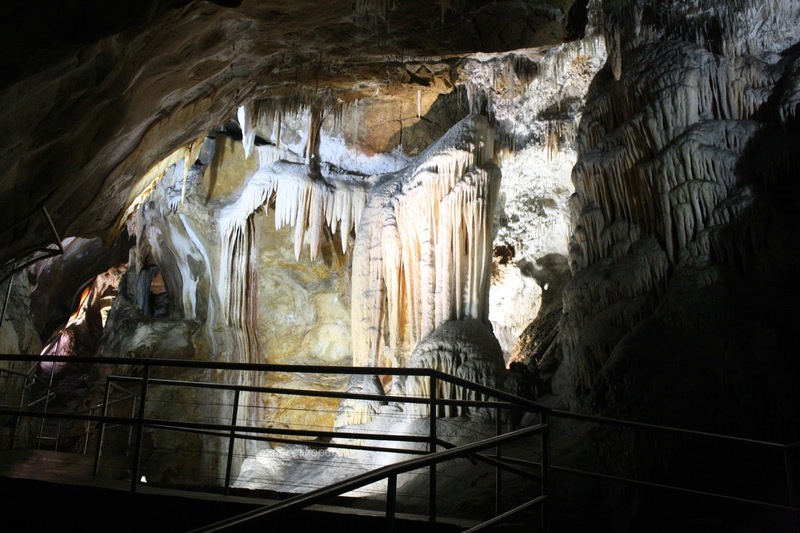 Finally I survived Chifley cave and came out the cave alive. 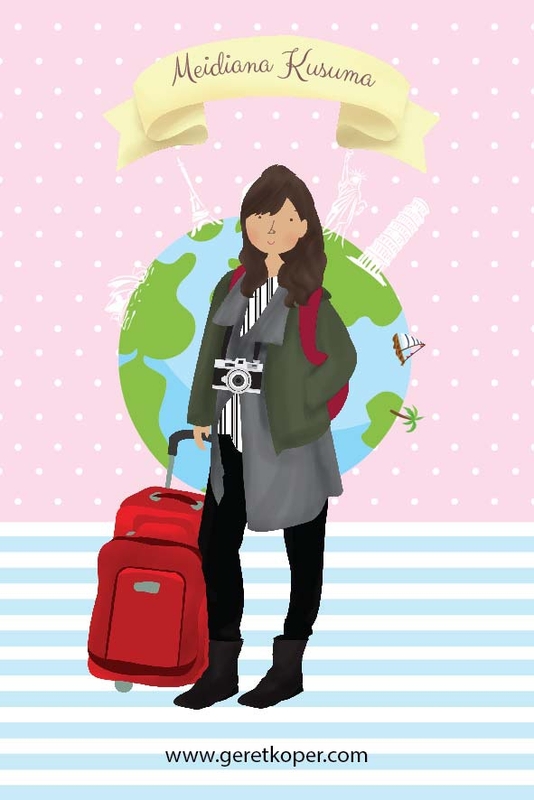 wih keren cavenya, semoga suatu saat bisa pergi kesana.